Looking to improve or establish the best habitat on your property to provide your wildlife with the best home possible? 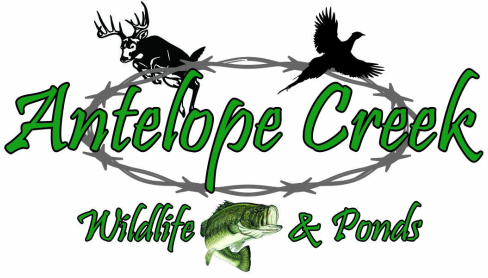 Want to increase your hunting or wildlife viewing experiences? - I can design a plan to help meet your specific habitat management goals. This plan will help to benefit the desired species you wish to have on your property. Many of the management decisions will help multiple species. I will help you determine the best management tools to use to improve your property. - If you recently purchased a property or you’ve owned it for years and want to add habitat, I can help. Whether you want to grow big bucks, flush large groups of pheasants or cubbies of quail, have a vast population of small game or you want to attract waterfowl, I will work with you and your goals to design the best habitat possible on your property. We can even work to target not just one species but multiple species. - Once you have your habitat needs in place, I can help to establish that habitat by doing the tree or grass plantings for you. I can even do some food plots. Due to the nature of the planting season for trees and grass, how weather dependent it can be, as well as the potential for a lot of travel this limited planting seasons is of limited availability. - I will also help you to make sure your ground is properly prepped for planting. - I am a dealer with Millborn Seeds. They take pride in providing the best native grass seeds available to ensure the best growth and value for your money. I will make up custom mixes to meet your goals and ensure you have the proper native grass seed for your region. - I also sell food plot seed to meet any of your goals. There are many varieties and mixes to choose from to meet your goals for pheasants, deer, small game, upland game and even waterfowl. If you wish to have a custom mix made that is also possible, and I can help you with that and work alongside with the seed company.